Raid them. Take them hostage. Have them work on the next Haruhi lot... with the same quality of the movie, not the last season. 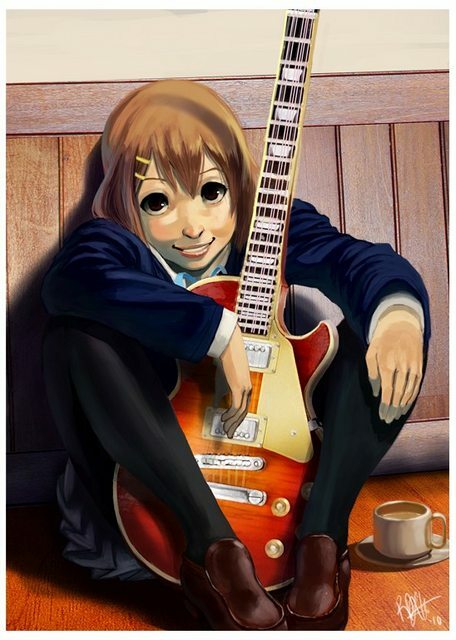 Here's some irony: Ever since posting that previous post of mine here, I seem to like K-On a little more for some reason. No idea why. But yeah, I think we'd all rather have a third season of Haruhi than more K-On. GadgetTR wrote: But yeah, I think we'd all rather have a third season of Haruhi than more K-On. Quoted for TRUTH. Get your act together, KyoAni! With the manga possibly ending, I guess K-On may become limited as to how much more they can make. Haruhi, on the other hand, is ongoing. Supposedly. It is the east, and Ritsu is the sun. O Mio, Mio, wherefore art thou Mio? Maybe this should have been called Play-ON! Considering how much was actually shown to the audience of the rehearsal and play itself in comparison to say practicing and playing in a rock 'n' roll band. HEH. 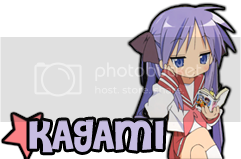 Last edited by Shamisen on Thu Aug 12, 2010 12:24 pm, edited 2 times in total. Oh yeah, the pacing sucked, they spent way too long on Yui meandering about, and they cut off the second song. Sheesh. I am very surprised at how little KyoAni can fit into an episode. I mean sure I'm not expecting them to duel the jazz club and for them to shoot lightning out of their guitars or whatever, but come on, they don't even really go anywhere with a lot of the premises they present and just run through them like they're checking boxes off a list which just smacks of lazy writing. But hey it's not like they're going to change this any time soon because they're making money! Episode 22: Okay this one was pretty good. K-On as voiced by old men. That is the most amusing yet creepiest thing I have ever seen. Episode 23: This one had me all nostalgic, so pretty good. Is this 24 or 26 episodes, 'cause I'm not seeing another two in this series. And I felt really sorry for Azu-nyan, too! I am going to be cross if they aren't about them trying to get a gig at Budokan. I've finished the first season.....And bluntly.I can play about 7 K-ON songs passably well on Bass Guitar....going onto 8, and am about to watch the second season. K-ON season 2 episode 25: Better than all the episodes. All of them. Can anyone tell me which artist this is referencing? 90 minutes is a long time to drink tea. Why won't this series just die? I liken myself to one of the musicians on the Titanic, except the ship never quite sank so the music just kept playing and playing and playing and playing OH GOD WHY WON'T IT END?! It will when people stop paying hand over fist for moe shows !! Ryu wrote: Can anyone tell me which artist this is referencing? First time I've thought Azusa looked anything but stupid... I think she looks cute there. While watching the final episode I was thinking "Wouldn't it be funny if they made a K-On movie?" And then at the very end it was like "K-ON MOVIE CONFIRMED YEAH!" and I'm like "WTFWTFWTF"
A) was this covered in the manga? B) If so, who did they fire? made forty episodes of K-On. They made 40 episodes of K-On. That's nearly twice as many as the number of Haruhi Suzumiya episodes.